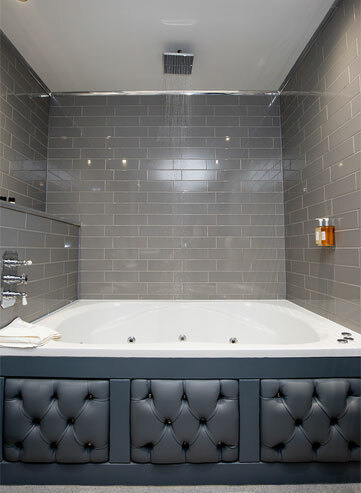 The epitome of chic, the Grey Rooms offer a luxury escape in the heart of the city. Consisting of 11 individual suites, the Grey Rooms offer guests a remarkable space to relax, unwind and explore the city in style. Our Grey Rooms have been perfectly designed to immerse guests in luxurious surroundings. Focusing on both comfort and style, they are perfect for group stays, party weekends and city getaways. Situated within the award-winning Shankly Hotel, guests have access to all of the on-site features and amenities including an on-site bar & restaurant, concierge and The Shankly Museum. 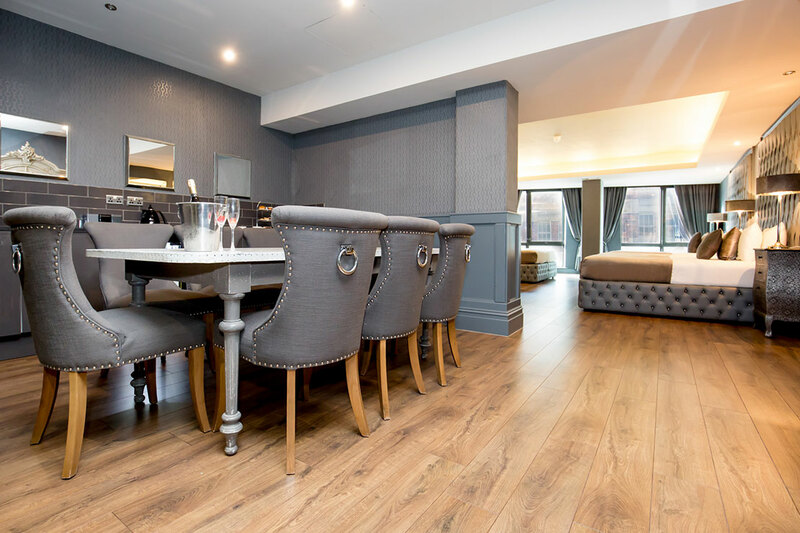 For those wanting to explore the city, the Grey Rooms offer the perfect location in the centre of Liverpool with shopping, nightlife and cultural landmarks situated right on your doorstep. Whether you’re celebrating a birthday, anniversary, hen or stag party, The Grey Rooms offer the perfect base for an utterly unforgettable stay. Each suite oozes luxury to ensure that guests can truly relax in style. Sleeping from 2 to 8 guests, we have the perfect Grey Room for you. Make the most of your city break in Liverpool and choose a hotel room with a difference. 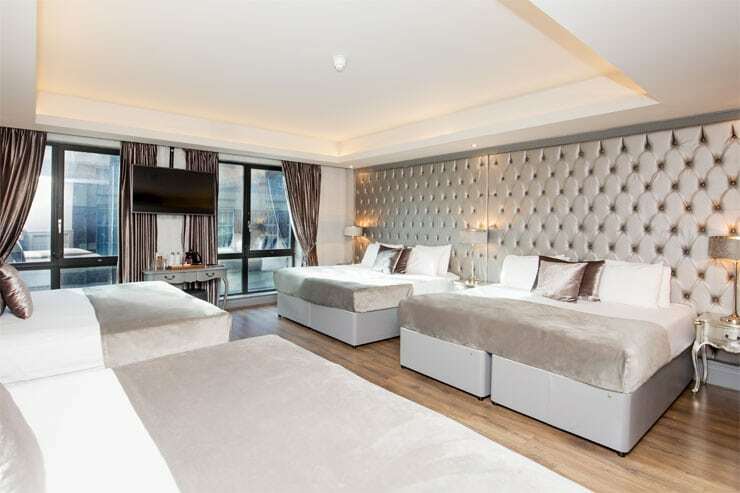 Boasting luxurious double and single beds, waterfall showers and whirlpool baths, each Grey Room suite has been individually designed so each and every guest can enjoy the perfect city centre break. Helping to compliment your stay at every opportunity, it’s easy to make yourself at home in the Grey Suites as a number of rooms feature fully equipped kitchenettes and dining tables, perfect for large group and family stays. The personal touch of the Grey Rooms help to make your stay extra special, so if you’re looking for a memorable stay, look no further than the Grey Rooms.